For well over twenty years I travelled 25 days out of every month. I loved it. Always a new place, thriving off the energy of the people I had the pleasure of working with, each week or two entering a new industry and learning how things work. The fundamentals of human interaction that I dealt with did not vary significantly by industry; the content, however, did. When my son was small, he and the nanny travelled with me. As he got older, he accompanied me. He sat through my training workshops, he accompanied me on some consulting gigs, and he enjoyed babysitters, daycare and children’s learning clubs around the world. Ten years ago, when my son was about eight, I began scaling back my travels. The impetus for scaling back was that my son was now old enough that it became challenging to take him out of school; he would miss too much. And, there was no way I was going to miss his childhood! An additional reality was that the constant travel was ruining my health, I always felt tired, and, I was honestly just ready for a change. So, I stopped the 25 days/month travel schedule. It was difficult to say “no” to interesting and high-paying work, but I’d set my priority. I started staying home. I started a small publishing project (Cultural Detective). I absolutely loved it. I was now able to take time to cook regularly, a passion I love. I was able to exercise daily, and meet new people locally via exercise classes and groups. I was able to go out for coffee with girlfriends, and to be present for friends’ major life events—so many things I’d missed when I travelled a lot. Of course, I also missed the travel, and seeing my far away friends. Now, when I occasionally travel (every couple of months), I find myself grateful for the experience rather than resentful. The journey is enjoyable again. Thus, on a recent flight to Vienna, I relished having two seats to myself. I was grateful for the free-flowing, high-quality red wine on Tirolian/Austrian Air. I read the in-flight magazines on two different airlines and got several blog post ideas. And I very much enjoyed watching a Blended Culture movie entitled, Chef. Chef is a 2014 movie starring Jon Favreau, Scarlett Johansson, Dustin Hoffman, and Robert Downey, Jr., about a chef whose family and career have both become frustratingly dull. He’s caught up in the busy-ness that can be modern life, and failing to pick up on the cues that his relationships and creativity require a major shift. He reminded me a bit of myself, actually. Have you ever found yourself in a rut? Going through the motions, not paying enough attention to what really matters, focusing primarily on accomplishing all the tasks on your plate? In true Hollywood style, by the end of the movie the chef figures it all out, and happiness reigns as the credits roll. Along the way, the film is an enjoyable reminder of some fundamental intercultural competencies and life truths. Attentiveness: Stay alert to what’s around you (family, friends, work environment), as well as to what’s inside you (your passions, talents and desires). Prioritize your activities so that you feed what’s important to you and minimize that which diminishes you. Staying externally attentive will help ensure that you adapt appropriately in cross-cultural situations, while internal attentiveness will help ensure that you do not lose yourself, your ethics and your talents, in the process. Bravery: Don’t be afraid to take risks. There are many euphemisms for failing to do what we know we need to do: “going through the motions,” “paying the bills,” “not rocking the boat,” “keeping one’s head low.” Staying true to oneself and what you know to be “right” often requires bravery and trust. I’ve seen many times that foreigners or outsiders can effect positive and needed change to a system when old-timers can not. I’ve worked with many people who try so hard to “fit in” to cross-cultural situations that they lose who they are, their authenticity. Be brave enough to adapt, and be brave enough to be yourself. Creativity: If you’re not feeling energized, if you fail to see connections between the different areas of your daily life, if you’re not frequently generating ideas, experimenting with innovative projects, or exploring new territory, take note. You are probably pushing and trying to do too much too quickly. Slow down, step off the rat race, refresh, restore and recuperate. You are far too precious, and your insights and talents are too needed, in this world of ours. How can any of us bridge cultures if we don’t have access to our innate creativity? And, let’s remember: it takes all of us to be creative if we are to form a truly inclusive society or organization. 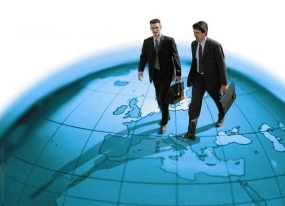 As many as two in five managers fail in their overseas assignments, according to a survey released by Right Management. A worldwide average of only 58% of international postings were judged to be successful by their organizations, with little variation across regions. The survey also found disparities in the preparation given expatriates before an assignment, said Lowsky. We know readers of this blog are more savvy than that! There are enough challenges changing jobs within an organization, let alone the additional challenges when transferring to an unfamiliar culture. Smart organizations don’t just invest in training the person going on the international assignment; they invest in building strong relationships among the whole team—domestically and internationally. Learn how Cultural Detective Online can benefit your team by attending one of our free webinars. Or give us a call—we’d be happy to assist you in getting your team subscribed to Cultural Detective Online today! Back in February, my friend and respected colleague, Michael Tucker, sent me a white paper on leading across cultures that he had just completed with one of our customers, Right Management. I meant to write about the 24-page report at the time, but, alas, time passes while we are focusing on other exciting things. This was an interesting study due to its scope: participants included 1867 leaders of 13 nationalities, representing 134 industries. 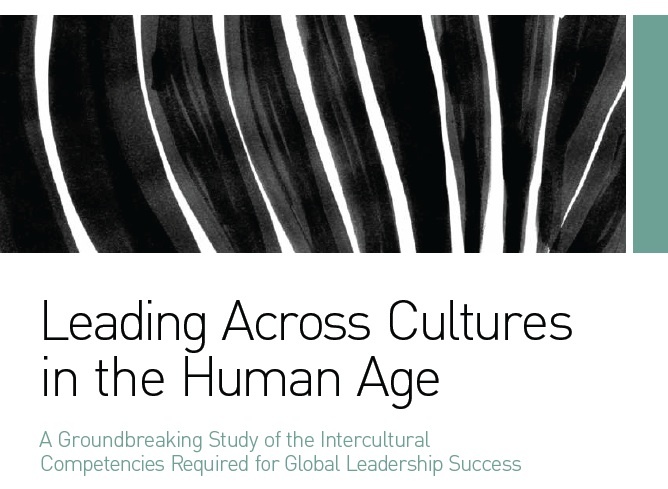 80% of CEOs and human resource professionals reported Cultural Assimilation as the greatest challenge facing successful expatriates. 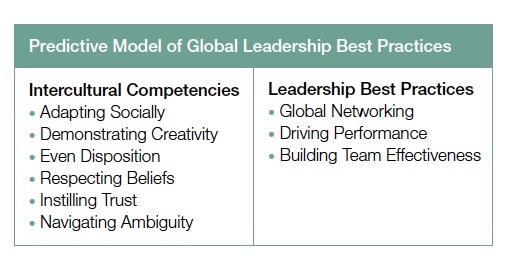 Study findings showed that global leadership differs from domestic leadership due to the complexity of working with people from different cultures. “The global experience results in leaders developing new worldviews, mindsets, perceptual acumen and perspectives,” the white paper states. Adapting Socially: the ability to socialize comfortably with new people in unfamiliar social situations and to demonstrate genuine interest in other people. Demonstrating Creativity: the ability to enjoy new challenges, strive for innovative solutions to social and situational issues, and learn from a variety of sources. Even Disposition: the ability to remain calm, not be critical of self, and learn from mistakes. Respecting Beliefs: the ability to demonstrate respect for the political and spiritual beliefs of people in other cultures, and the ability to use appropriate humor to diffuse tense situations. Instilling Trust: the ability to build and maintain trusting relationships. According to the report, trust is the one glue that holds diverse teams together. Navigating Ambiguity: the ability to work through vagueness and uncertainty, without becoming frustrated, and figure out how things are done in other cultures. Ambiguous situations are the norm in leading across cultures. Select Overseas Managers includes assessment processes such as Tucker’s, and developmental tools such as Cultural Detective, used by a competent administrator/facilitator. Grow International Leadership Bench Strength includes developing and nurturing leaders as well as providing coaching—each of which are greatly aided by the Cultural Detective toolset. Ensure Success of Leaders in New International Roles includes assigning a coach and meeting for regular reviews, both of which can be significantly enhanced with a subscription to Cultural Detective Online. Localize Country Management Teams includes the creation of customized leader plans and coaching support. Again, you know what toolset is perfect for this! This is an excellent report, which I recommend you review in its entirety. We appreciate Tucker International and Right Management making it available. I suspect we can all learn something from this reminder of what it takes to be a competent global leader. 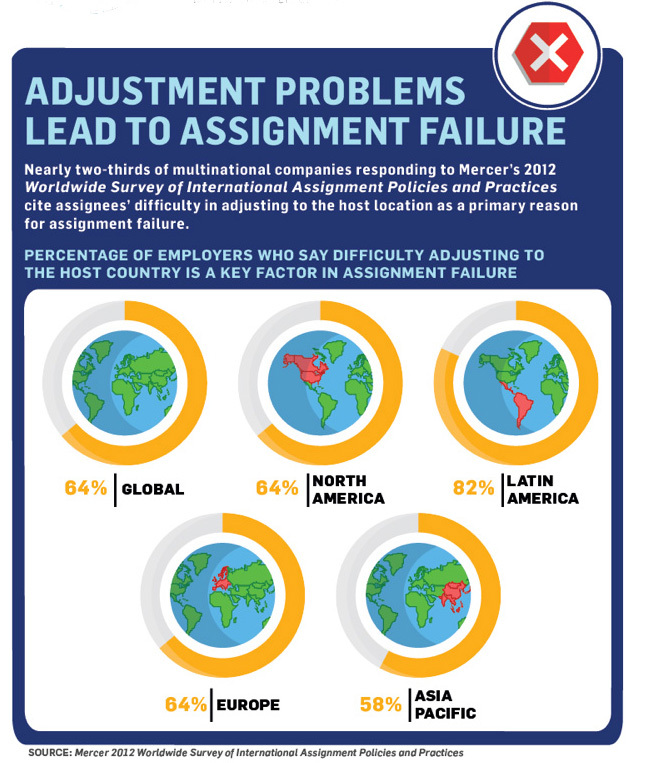 Mercer has released some useful new infographics, based on the findings in their 2012 Worldwide Survey of International Assignment Policies and Practices. You all know that using Cultural Detective combined with reflexivity and good facilitation, you can do WAY better than “awareness”—developing the ability to collaborate across cultures. Let’s save the lost money, the aggravation and stress on our people, and the potential loss of talent, by equipping expats and their families for their assignments! Also best to equip the receiving team, and to conduct team building, ongoing mentoring and coaching. Cultural Detective Online, along with good coaching or facilitation and organizational support systems and processes that reward intercultural competence, will make the difference. This is a story, or perhaps, more correctly, a cautionary tale, about a very successful expatriate and the highly respected, much-envied western company for which he worked. It is a story that made me think again about how we define success in our lives, and, in particular, how we define success in the global marketplace and success on an expatriate assignment. The Company: The company is one of the very first to enter the Japanese market after World War II. It holds key patents on several important technologies, and invests decades establishing partnerships with Japan’s leading firms. It prides itself on hiring and promoting Japan’s best and brightest. By the 1990s, it is the envy of other foreign-capitalized companies in Japan: it has a dominant market presence in its niche industries; long-established, trustworthy partnerships with major local players; and a stellar reputation for consistency, reliability and innovation. The president of the company is Japanese, and its management team is a strong and diverse mix of local and international executives who respect one another and leverage their expertise. The Japan operation is a huge profit center, as well as the home of research and development breakthroughs leveraged by the company globally. They have strong cross-cultural programs in place for their staff worldwide, as well as for transferees and their receiving organizations. The Expat: Our expat is intelligent, ambitious, and very capable. He has worked for the company for over 30 years, and is known as an excellent turn-around manager who had saved several manufacturing plants and regional operations, turning their losses into profits. Originally educated as an engineer, he is logical and methodical, and very good with numbers, graphs, and trends. Our expat is married with grown children and grandchildren, speaks a bit of French in addition to his native English, is well-travelled, but has never before lived overseas. This will be his last assignment prior to retirement. The Situation: The global company, and most particularly home office, is experiencing economic hardship. A few expensive ventures have failed, and it is time to tighten belts, cut back, and save money across the board. Though the Japan operation is one of the most profitable worldwide, it is part of the overall organization and must join in company-wide budget cuts. 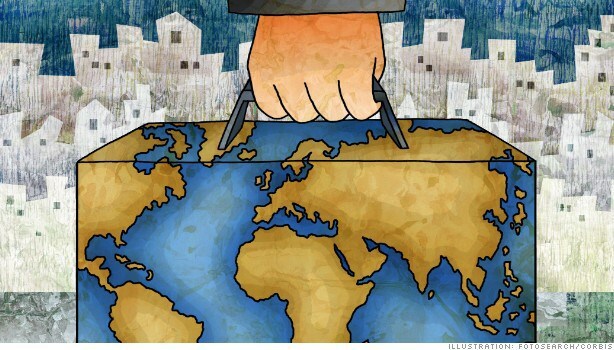 The expat is sent to Japan as the new CEO, and is told to cut millions from the annual budget. It is the first time in over a decade that the CEO of the Japan operation is a foreigner. The expat and his wife relocate to Tokyo, and quickly integrate into the local expat social scene. They love their new life in this amazing metropolis. The Backlash: Local and existing expatriate management “cry foul.” They say it is a short-sighted decision to slash budgets in Japan when the operation is functioning smoothly and keeping others afloat. They say they are being punished for errors they did not cause, in which they were not involved. They warn that budget cuts will have long-lasting negative effects in the Japanese marketplace. The cross-cultural consultant and existing management explain that the culture is different here, that the new CEO doesn’t yet understand Japan. Drastic changes have long-lasting effects that can’t be undone, can’t be apologized for. They urge him to send this message strongly to the home office, to push the decision back up. They say it’s his duty to make the home office aware of the repercussions of their top-down decision. They tell him that following instructions will mean the death of the Japan operation. But the CEO has been down this road before. No one likes belt-tightening. No one likes budget cuts. He knows how to turn an operation around. He’s done it before. He doesn’t need people to “like” him. He knows they will respect him once they see the results he achieves. This is an once-in-a-lifetime opportunity, an incredible capstone to his career. The Outcome: The expat succeeds, in stellar fashion. He fires people. He closes divisions of the company. He retires long-standing partnerships with important local players. He does exactly what he has been charged to do. And he furthers his career: after his two-year assignment he receives a huge bonus. He departs Japan to begin his retirement, riding the accolades of his success. Home office is proud of their decision to send him; only an expat could have made these kinds of difficult decisions, taken these drastic measures. A local executive wouldn’t have been able to cut such long-standing local partnerships, couldn’t have bit the bullet to fire staff who had worked their whole careers building the company. It was a perfect decision. Money saved. Bottom line improved. The Longer Term Outcome: Fast forward to four years after the expat’s departure. The highly successful, highly profitable business in Japan, with the enviable stellar reputation, closes down. Plants close. R&D facilities close. Offices throughout the country close. Leading companies in the industry are no longer interested in partnering; once burned twice shy. After decades of trust building, smart business and shared success, how can they rely on a company that unilaterally decides to throw it all away to improve bottom-line at some far away home office? Why should they do business with a company that so clearly prioritizes home office needs over international success? The company’s best and brightest have been hired by the competition. They are sour about their previous employer’s lack of loyalty and its short-sightedness. The company is no longer able to attract talented new hires. Who wants to work for a company that focuses on home office success, punishing those who succeed worldwide? And today? The Japan operation, such an envied and respected company for over sixty years, is no longer. It was “over-milked,” bled dry. Not financially, but culturally, emotionally, trust-depleted. 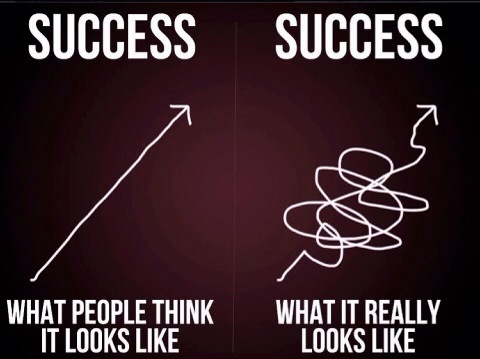 So, how would you gauge success in this situation? Knowing what you know now, was the CEO successful? At the time everyone thought so. He achieved the immediate goal. What do you think would have happened had he done things differently? Is there a way the expat could have been successful in his goal and maintained trust? Does this mean that every leader needs special tools when completing an overseas assignment? What can we learn from this? Please ponder those questions while you read the key takeaways from my point of view. As expats, we must learn to distinguish between what we know and what we have to learn. We must ask for help. We must be willing to listen. We need to pause and make sure we understand the cultural context in which we are working. We must ensure that while we use our strengths, we also use “fresh eyes” to see what’s new and different this time. Not every problem can be approached in the same way it was successfully resolved the last time around, in a different country, with different people. We must be able to discern when to jump at an opportunity, and when to push a decision back up the chain of command. No person is an island. Even a CEO is part of the interconnected web of relationships, responsibilities, and decisions that make up an organization. As home office executives, we must be able to weigh our priorities, consciously and purposefully. We must think long-term, even when the short-term is jumping up and down in front of us. It is our job to anticipate the multiple impacts of a decision, and shape the process to benefit the organization. We must be able to hear the truth, from all perspectives, and separate the facts from the complaining. We need to set aside what we want to hear, what we are used to hearing, and be open not only to what is said, but the context and manner in which it is expressed. A cultural informant may help in “translating” the meaning of the message. As local management, we must learn to discern when we are accurately predicting the future and when we are just resisting change. These are usually questions to explore through dialogue and open-minded discovery. This can be a challenging process, depending on the cultural norms of local management. As a global team, we must have the tools to enable us to share, hear, and weigh information in order to make the best decisions, for both the short- and long-term. And it is important to remember that the choice and presentation of information is, to some extent culturally influenced. Without a process to truly understand shared information, team members essentially operate in the dark. A multinational company, it is wise to employ tools like Cultural Detective to help prepare and guide executives on international assignments. Culturally Effective companies recognize the need, and have found Cultural Detective and a trained facilitator can help prevent stories like this from becoming commonplace Cultural Defectives. En un mundo cada vez más interconectado y globalizado, las asignaciones internacionales suelen ser más frecuentes para empleados de empresas multinacionales. Dado lo anterior las empresas han dispuesto de grandes esfuerzos y recursos para optimizar su selección del candidato ideal para las vacantes que surjan y poder iniciar el proceso de expatriación (traslado laboral a otro país con beneficios para el empleado y su familia). Los llamados departamentos de personal o recursos humanos han alineado sus procesos de reclutamiento y selección con el fin de optimizar la búsqueda y el tan ahnelado hallazgo de quien cumple con los requisitos del cargo y adicionalmente sea capaz adaptarse a un entorno que puede ser similar y muy distante del actual. A priori se consideran el dominio de los idiomas o experiencias previas en otros países y culturas, lo que podríamos denominar un bagaje intercultural. Sin embargo esto no siempre resulta, ni para la empresa ni para el expatriado. Conozco dos casos contrastantes de primera mano. Los dos llegaron aquí a Bogotá, de dos países diferentes y para dos asignaciones igualmente diferentes. El primero venía de Europa, de uno de esos países con cultura monosincrónica, bastante rígido con el tiempo y de los que la puntualidad es un tema que no tiene discusión. Había vivido en Estados Unidos y varios lugares de Europa, incluyendo España por lo cual domina el castellano (con el ceceo que decimos los latinos, yo digo que los españoles hablan siempre con ortografía), soltero, sin hijos y sin pareja. Cambiaba de industria, pero su trabajo vincularía a partir del área comercial su país natal y Colombia como puerta de entrada a América Latina. Llegó con lo que los locales consideramos un muy buen salario, un apartamento en una zona lujosa de la ciudad (cerca a su nueva oficina) y todo el apoyo de su empresa para comenzar una nueva sucursal en mi país. Su tiempo estimado de dos a tres años inicialmente. Por otro lado, tenemos a un hombre que venía de Israel sin hablar una sílaba de español, casado (llegó con dos hijos, hoy ya tiene tres ) quien vino por una asignación puntual de seis meses. Llegó solo y solamente a dirigir un proyecto de infraestructura en la ciudad. Se enfrentó a dirigir cien operarios y, si podemos decir, a golpes comprender por qué la cerveza es parte del presupuesto de muchas familias de estos empleados a su cargo. Tuvo que lidiar temas familiares, de rendimiento del trabajo individual y de grupo. Aprendió de primera fuente cómo era la contratación pública en Colombia. Dos escenarios totalmente opuestos y con resultados igualmente contrastantes. El primero a pesar de su buena voluntad, su dominio del idioma… no logró adaptarse a nuestro entorno, cultura e impuntualidad. Cuando hablaba con él recordaba mi propia vivencia cuando en el Caribe me era tan complicado sentirme fluir. Tuve amigos, pasé momentos muy especiales… pero siempre había algo que me decía, no es tu lugar. En fin, así le pasó a este ejecutivo que no completó el primer año de contrato y se regresó a su país. La última vez que nos comunicamos estaba de paso en Singapur, volvió a su anterior industria y por Facebook me entero de sus movimientos alrededor del planeta (Australia, Alemania, Francia, Estados Unidos…) no ha regresado a Colombia, espero que nos podamos volver a encontrar y disfrutar una buena copa juntos. El segundo ya habla muy bien español, lleva siete años en el país y ahora ha fundado su propia empresa con talento en un 90% colombiano. Su familia vive con él, y su hijo menor nació aquí. A pesar de tantas diferencias entre su cultura y la nuestra, aprendió a nadar en nuestro rio y podría afirmar que se mueve como pez en el agua. Se proyecta como representante de varias empresas de su país en América Latina, y como dijo uno de nuestros políticos alguna vez… es como si dijera “aquí estoy y aquí me quedo”. A primera vista el primero de los candidatos se perfilaba como el candidato ideal para quedarse (conozco por cierto muchos solteros que llegan, se casan y se quedan en mi país gracias a la buena fama de las mujeres), pero no fue así y el que parecía que no se quedaría más allá de su asignación regresó a su país por su familia para traerla consigo y quedarse indefinidamente. No dudo que los departamentos de personal o recursos humanos asociados a cada uno de estos casos y sus esferzos de “relocation” fueron minuciosos, estudiados y abordados con profunda seriedad y profesionalismo. Pienso que a veces, el paso adicional nos corresponde a los que aplicamos y ser muy honestos con nosotros mismos y en la evaluación previa de las nuevas condiciones de vida. Nuestro desafío desde el punto de vista intercultural es brindar las herramientas adicionales que permitan tomar la decisión más acertada según las condiciones disponibles y hacer el acompañamiento de entrenamiento para su nuevo destino desde el punto de vista de la vida diaria, cultura de negocios, la vida para el empleado y su familia, entre muchos otros. Debemos entender que no es ni bueno ni malo sentirnos o no a gusto en otro lugar (país, región, entorno). Sin embargo sí debemos conocer lo que más nos impacta (a nosotros y cuando aplique nuestras familias) y por ende identificar en qué lugar nos podemos trasladar para cumplir con el trabajo y además llevar una vida a gusto con nuestra familia. In a world that is increasingly interconnected and globalized, international assignments seem ever more frequent for employees of multinational companies. Given the above, firms have invested great efforts and resources to optimize their selection of ideal candidates to fill job vacancies and to be able to initiate the expatriation process (job transfer to another country with benefits for the employee and family). Personnel and human resource departments have aligned their recruitment and selection processes to optimize the search for those who meet the requirements of the position and who are also capable of adapting to an environment that can be at the same time very similar and very different from their home environment. It’s considered logical that a successful candidate would have mastery of the new language or previous experience living abroad, but that is not always the case. I have firsthand knowledge of two contrasting cases. Both transferees arrived here in Bogotá from different countries and for two very different job assignments. The first person came from Europe, from one of those countries with a monochronic culture, fairly rigid about time, with the belief that punctuality is not a matter for debate. He had lived in North America and various places around Europe, including Spain, and for that reason spoke Castilian well (with the lisp about which Latinos say, “Spaniards always speak with good spelling”). He was single, had no children and no partner. He had changed industries, and his new job involved commercially linking his birth country with Colombia as a gateway to Latin America. The position came with what locals would consider a very good salary, an apartment in an upscale area of the city (near his new office), and the full support of the company to start a new branch in my country. His assignment was estimated to be two to three years, initially. The contrasting case was a man from Israel, who arrived without speaking even a syllable of Spanish, married (when he arrived he had two children, and today has three), who came for a short-term, six-month assignment. He arrived alone with the single objective of directing an infrastructure project in the city. He needed to manage one hundred operators and, if I might say so, via the school of hard knocks he learned to understand why beer is part of the family budgets of so many of those he supervised. He was thrown into managing employee family issues, individual performance issues, as well as group dynamics. He learned firsthand about public contracting in Colombia. These were two scenarios that were totally opposite and with results that were equally different. The first gentleman, despite his goodwill and language skills, failed to adapt himself to our environment, the culture and the tardiness. When I spoke with him I was reminded of my own experience living in the Caribbean, where I found it so complicated to get in the flow of things. I had friends, I had some very special moments, but always there was something telling me, “this is not your place.” In the end, what happened is that this executive returned home before even completing the first year of his multi-year contract. The last time I was in touch with him he was passing through Singapore. He had returned to the previous industry in which he had worked, and I found out via Facebook about his travels all over the world (Australia, Germany, France, USA). He has not returned to Colombia, though I hope we can meet up again some day and enjoy a good drink together. At initial glance the first candidate seemed to have the ideal profile for a long-term stay (I definitely know many bachelors who arrive, marry and stay in my country thanks to the good fame of our women), but it was not to be. The one who it would have seemed would not remain beyond a short initial assignment ended up returning to his country to collect his family and bring them back with him to stay here indefinitely. I have no doubt that the personnel and human resource departments associated with each of these cases engaged in thorough and studied relocation efforts, discussing them with deep seriousness and professionalism. I think that at times, however, the extra step needed is for those of us who apply for overseas assignment to be very honest with ourselves about our life conditions, needs and desires. Our challenge from an intercultural perspective is to provide additional tools that allow people to make the right decisions according to current realities, and to accompany that with training on daily life, business culture, and personal and social life for the employee and family in the new destination. We must understand that feeling at home or not in another place (country, region, environment) is not in and of itself good or bad. The key is that we need to know ourselves and our families, what most affects us, and thus be able to discern where we can move in order to conduct our work and maintain a comfortable life with our families. You’ve already told us Cultural Detective is fabulous. That it’s helped your team achieve its deliverables. That it’s rocketed your performance to new levels. That’s why we are very excited to SOON be able to offer you the Cultural Detective product line as an integrated, online system rather than as stand-alone packages! And, better yet, it’s designed as a personal coach, encouraging you to track your goals, apply your learning to your business objectives, and upload and debrief your own life experiences. Be sure to stay tuned for our official launch. Or, enter to win a free subscription for you or your team! If you are unable to view the video above (if you are on an iPad or other device that doesn’t play Flash), click here to view the video on YouTube. Please feel free to share this video with others who might be seeking a virtual intercultural coach. Thank you!